CHARRED WALLS OF THE DAMNED – DEBUT ALBUM IS FULL BLOWN METAL! 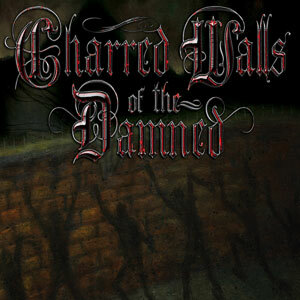 Charred Walls of the Damned released their self titled, debut album on February 2, 2010 on Metal Blade Records. Cutting to the Metal chase here, my ears are telling me Charred Walls of the Damned are not just a supergroup, they are an excellent Metal Band… period. 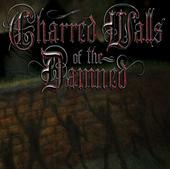 There are many shades of Power Metal found within this debut album from Charred Walls of the Damned. How many dozens of American bred Power Metal Bands can you name? Europe outnumbers America in the Power Metal category, thus anytime a North American band even sounds remotely close to Power Metal, it peeks my Metal interest. That is why I am rather excited that founding member and drummer, Richard Christy, decided to embark on an Old School Speed Metal meets Power Metal adventure like this band. Shaking loose from the confines of The Howard Stern Show to create a legit and convincing Metal album is what Richard Christy has done. 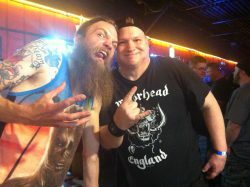 After listening to Charred Walls of the Damned several times, I’ve come to the Metal conclusion that Richard Christy could probably quit his day job. Then again, it’s not too shabby a gig, to be part of The Howard Stern Show either. Richard Christy and Tim “Ripper” Owens played together as members of Iced Earth, from 2003 to 2004. Bass guitarist Steve Digiorgio has built his Metal legacy as a founding member of Sadus, while also playing for Death, Testament, Iced Earth and Autopsy… there are a few more, yet the Metal point is made here. Throw in the fact that Richard Christy was also the drummer for Death, from 1996 to 2001 and you have Metal credibility oozing from the Metal seams here. Legendary Metal producer Jason Suecof takes the helm on guitar and of course, producing Charred Walls of the Damned. It is in my sincerest Metal opinion, that Tim “Ripper” Owens does not have to look upon himself as ever being that other lead singer for Judas Priest… never again. Charred Walls of the Damned spotlights the Ripper’s vocals, while he clearly magnifies the power and emotion of each song with Metal conviction. Truly, an album that has no dog for a song is rare during any era of Metal Music. Charred Walls of the Damned is just that album… from Ghost Town to Fear In The Sky, the unrelenting Metal assault that is unmistakably power charged, comes at you like an out of control heat seeking missile. Jason Suecof demonstrates his guitar appreciation with unreal great confidence and clarity. The Metal leads, riffs and solos rage throughout Charred Walls of the Damned, Jason Suecof can play. If I sound over zealous about this debut album, it’s that I’m only extremely psyched that these four Metal players have combined their skills and minds to deliver a quality Metal product. Overall, these songs are built on speed, blended with the Power Metal vocals of Ripper and thunder struck by Steve Digiorgio on bass and Christy on drums. Charred Walls of the Damned teamed up to tinker with the traditional brilliance’s of Metal. Oh, did they tinker… the end result is the Metal parts are just as great as the Metal sum with their debut album. I really hope this is just the beginning of a long line of albums, from this “new” Metal Band they call – Charred Walls of the Damned.